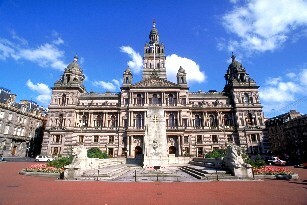 At Glasgow City Council we are committed to making the Council as open and as transparent as possible. This webcasting website allows you to watch live Council and committee meetings, as well as an archive of previous meetings. Please note that we been filming Council meetings since 2014. Committee meetings have been available from mid-September 2018. Meetings will be archived within 2 working days after they are first broadcast, and are available for 12 months. Webcasts are displayed on the right of this page. To view the webcast, click on the title and the clip will begin playing automatically. You can access previous webcasts by clicking on the webcast library link above or using the search box. Click the Share button at the bottom of a webcast player page to share the short link via social media sites or email. For a live webcast, these share features are available from the player page on the day of the webcast. For an archived webcast, you can also choose to share a particular agenda item. You can find out more about webcasting, and how it works, in our help section. This section also contains frequently asked questions if you are having trouble viewing our webcasts. You can also submit comments and feedback on the webcasts themselves using the feedback form provided at the bottom of each webcast page. All webcast footage is the copyright of Glasgow City Council. Webcasts for which we have provided the embed code can be hosted in full on another website. However, you are not permitted to download footage nor upload it to another website without the written permission of Glasgow City Council. Please be aware that video sharing websites require you to have the permission of the copyright owner in order to upload videos to their site.